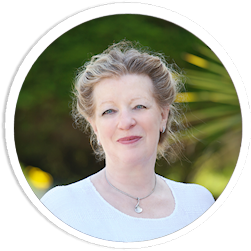 Dolores Ronayne is a Co. Waterford based Holistic Therapist, helping you heal with Reflexology, Polarity Therapy, Energetic Massage Therapy, Touch Therapy & Massage for Clients living with cancer, and providing Baby Massage Classes for parents and babies. We offer gently nurturing, healing treatments. Each session is specially tailored to your needs and may combine several treatment methods to encourage deep relaxation and stimulate your bodies self-healing abilities. Baby massage classes are a joy, where parents learn to enhance their gift of nurturing touch, bringing all the benefits of massage to their child, from an early age. I love my work, and my clients find the complementary therapies provide them with much needed time-out-time. They can relax and de-stress in tranquil surroundings, on the lovely Ring peninsula, overlooking Dungarvan bay. Here is a place and space where you will find ease, balance and harmony. Come and experience a RONHolistic Therapies treatment, you will leave feeling relaxed and enjoy an improved sense of well-being. If you have any query about the holistic therapies we offer, please contact Holistic Therapist, Dolores Ronayne at her clinic in Ring (near Dungarvan), Co. Waterford, Ireland.